In 2017 Calgary Arts Development undertook an Equity, Diversity, and Inclusion (EDI) survey of Calgary’s arts sector, as represented by the 161 non-profit arts organizations who receive annual operating funds from Calgary Arts Development. The survey materials were developed through a partnership with the Calgary Congress for Equity and Diversity in the Arts (CCEDA). We acknowledge and extend tremendous gratitude to Michele Decottignies and Jenna Rodgers for their work developing the self-disclosure form and reporting materials. Processes: Equity and diversity policies in place at Calgary arts organizations. Programming: The number of activities for and with diverse participants undertaken by Calgary arts organizations. People: The demographics of the arts sector, including artists, administrators and volunteers. The purpose of the survey was twofold: 1). 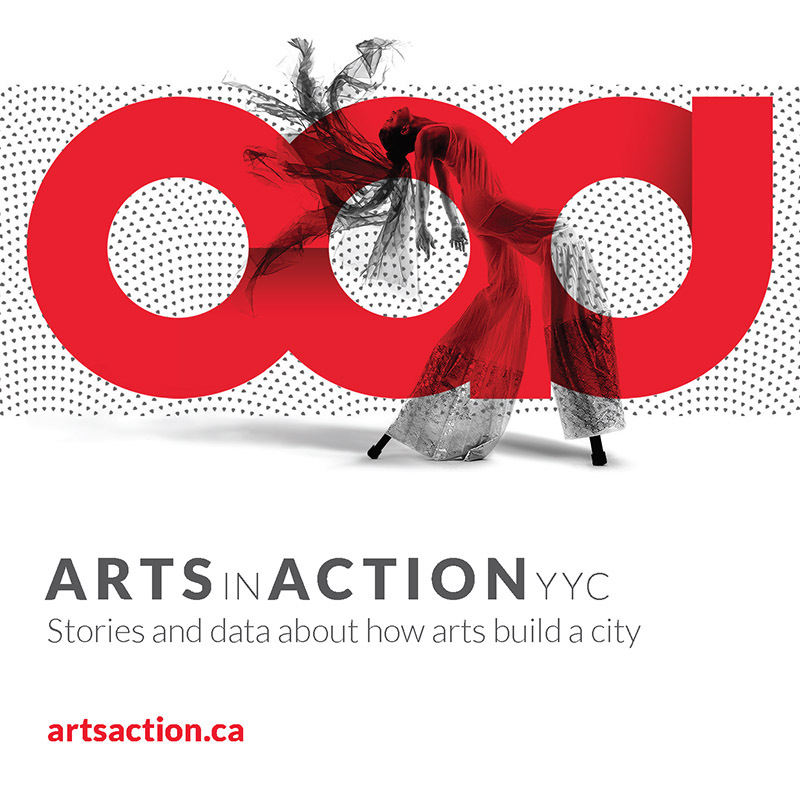 To provide detailed data necessary to construct a demographic profile of Calgary’s arts sector, and 2). 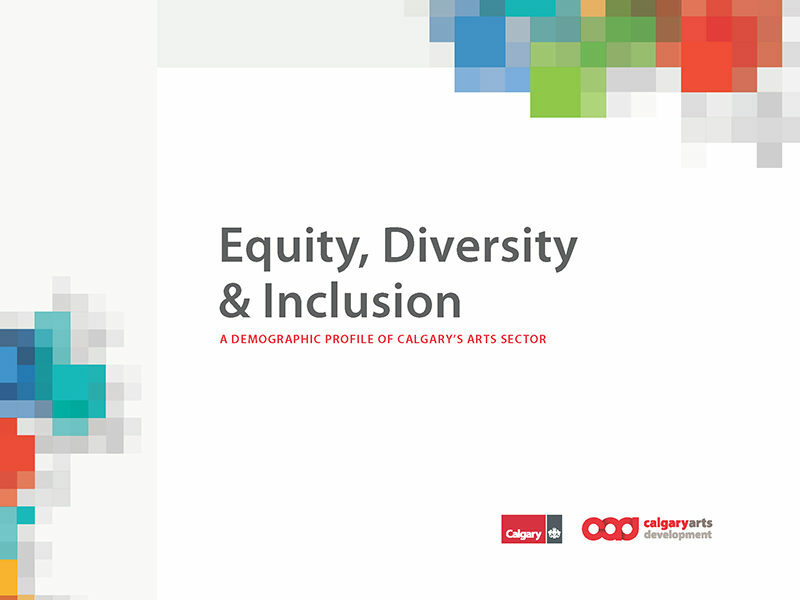 To understand the extent to which Calgary arts organizations have access to policies and procedures that promote equitable and diverse workplaces. This report focuses on the demographic information collected through a voluntary self-disclosure form. Organizations were asked to distribute a link to the online voluntary self-disclosure form to all artists, administrators and volunteers who worked with them in the fiscal year beginning in 2016. On average, organizations had 32% of their artists, administrators and volunteers report through the online form. The breakdown of reporting rates by type of organization and discipline is provided below. 3,277 completed voluntary self-disclosure forms were submitted. Data were reviewed for duplicate responses by comparing IP addresses, submission dates, and commonality of responses. Using this process, 126 duplicate responses were removed, leaving a total sample of 3,151 included in the analysis. responses were made explicitly available in the form. Finally, in an effort to maintain anonymity and confidentiality of all respondents, we are unable to connect self-disclosure responses with specific arts organizations, limiting our ability to draw conclusions about specific types of arts groups or disciplines. The arts sector is less ethnically diverse than the population of Calgary. Representation of visible minorities (15%) in the sector is less than half the representation of visible minorities in Calgary (36%). Indigenous peoples show extremely low rates of representation in the arts sector, but the percentage is in line with the proportion of individuals who identify as either First Nations, Métis or Inuit (FNMI) as the general Calgary population. However, it must be remembered that city census data only reflects those who live within city limits, and not the demographics of Mohkinstis. Individuals who identify with impairments are under-represented within the sector. Individuals identifying as Deaf/deaf or hard of hearing, with a disability and/or with a mental illness show lower rates of representation compared to local or national statistics. The LGBTTIQ+ community is well-represented in the arts sector relative to national estimates of LGBTTIQ+ members of the population. The younger generation of the arts sector has significantly higher representation of visible minorities, LGBTTIQ+ identified peoples, and greater diversity in gender identity. This suggests that the sector is in the midst of a generational shift. Gender, age, and ethnicity all show relationships to levels and sources of income. Significant differences in income are present between transgender, gender fluid, gender non-conforming, and female respondents compared to male identified respondents. Visible minorities report lower levels of income, less income from arts work and more likelihood of their arts earnings coming from outside Calgary. Age is related to income, with older respondents reporting higher income and more national/international income than those who are just beginning their careers. There appears to be a high degree of intersectionality within under-represented groups in the arts sector. There is significant overlap amongst transgender, gender fluid, and gender non-conforming individuals, individuals identifying as LGBTTIQ+, individuals identifying with either a disability or with mental health issues, and those identifying as mixed race.